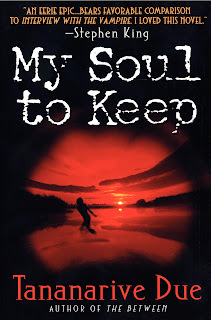 In 1997, I published a novel entitled My Soul to Keep that marked the beginning of what I now call my African Immortals series. The story centers around a 500-year-old Ethiopian immortal named Dawit and the Miami newspaper reporter, Jessica, who is unwittingly married to him. At the time, I had no series in mind. The novel was a watershed for me: It has endured as a reader favorite, and was blurbed by Octavia E. Butler and Stephen King, who wrote that it "bears favorable comparison to Interview with the Vampire." The genesis of the story was simple: What would it be like to discover that your husband has a secret? What if he never got sick and never aged, and his Brothers were ready to summon him home? Ultimately, My Soul to Keep is about the price of immortality. In 2008, I published another unexpected sequel, this one entitled Blood Colony, which revisited my powerful toddler as a headstrong teenager bent on distributing her blood to the world in the form of a an underground drug called Glow. I also introduced the idea that my African Immortals are not the only ones with the Living Blood to give them eternal life...and that even a great gift can be badly abused. Blood Colony was nominated for an NAACP Image Award. Unlike with its predecessors, I knew that I wanted to write another installment after Blood Colony...because the story of Fana's meeting with her immortal Bloodborn counterpart was far from over. Last week, I turned in a manuscript for a novel my publisher has tentatively entitled My Soul to Take (no, it's not the Wes Craven movie coming out this month), which will be what my sister jokingly refers to as "the fourth novel in a trilogy." This novel will begin a year after Blood Colony, which was set in the year 2015, and it picks up the story almost exactly where it left off. This installment is about the price of power. There is plenty of time for readers to reacquaint themselves with the first three books in the series, or to discover them for the first time. I hope to meet readers new and old through Fana's Facebook page, and I'll do everything I can to make the next year pass quickly. Let's have some fun while we wait! So I am so ecstatic about My Soul to Take. I have been enthralled with the series so far and I hope the movie really does come out. I would be there first thing at the theater! My best friend and I were captivated by the first three books. Each one is better than the last and I know this will hold true with My Soul to Take. We can hardly wait for 2011! We've shared our books with co-workers and they loved them!! OH EM GEE! It was because of Stephen King's review that I purchased My Soul to Keep during my JR year of College in 97. I loved this book so much and lent it to my friend who has yet to return it to me, she was to scared to read it. You are a great writer...GREAT! and it has been a great pleasure to read this unexpected series and I look forward to many more in it. 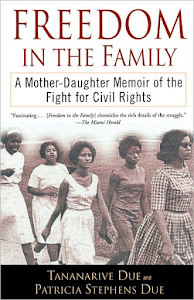 What can we unwashed masses can do to asssist Fox Searchlight in making this movie happen? Thank you for the wonderfully fantas-tic stories! 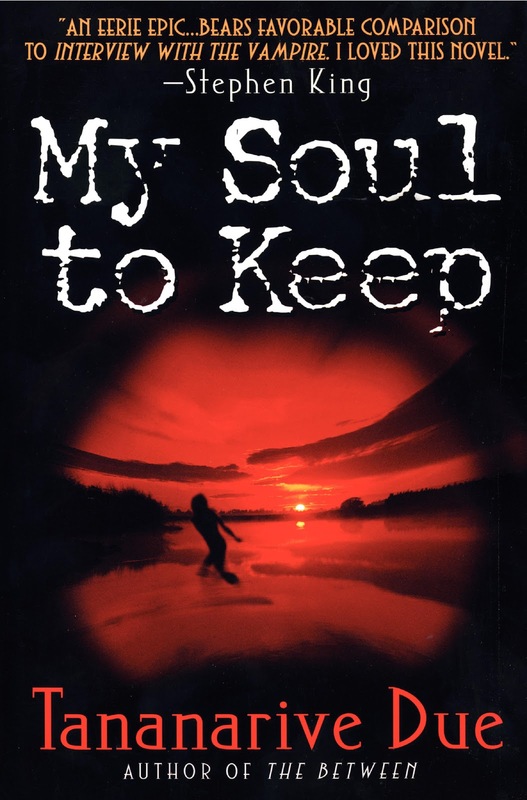 I'm happy to here My Soul To Keep is becoming a movie and I can't wait to see it either. I heard the audio book of the series when I was little and Loved it. Now that I'm older I'm going back rereading the series. I can't wait to see the movie. I'm so excited that The Immortals will be back. I'm currently re-reading The Living Blood, getting ready to read Blood Colony. Thank you for your work! Although my soul to take hasn't even been released yet....I can't wait to get my hands on it! I'm already looking forward to the 5th book in the trilogy! Have you thought about a graphic novel or comicbook series based on your characters? The African Immortals seem ripe for such an undertaking.